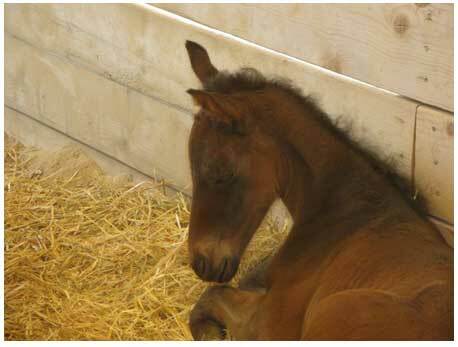 Just cute photos of Wildorado's Zachary(Blue Hors Zach)born to Noble Heart (bred at Noble Horse in Denmark) at 11:45 May 10th, 2010 at Wildorado Ranch. 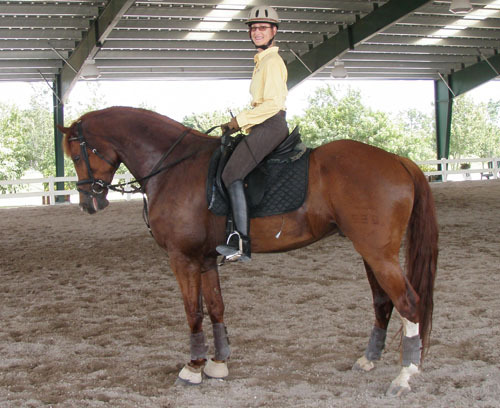 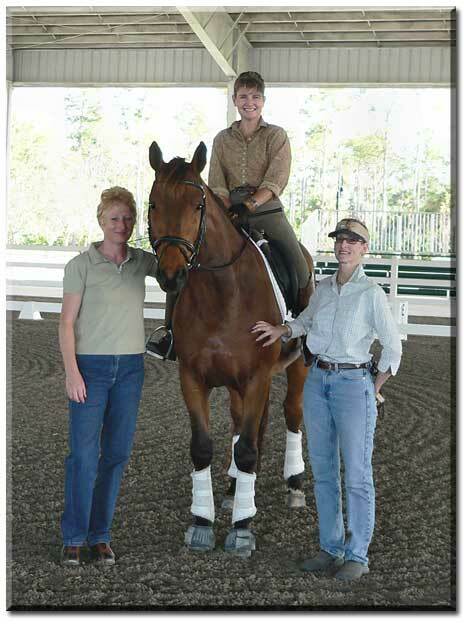 Noreen and Noble Shadowfax (5years 2009) in their daily training in wonderful Florida. 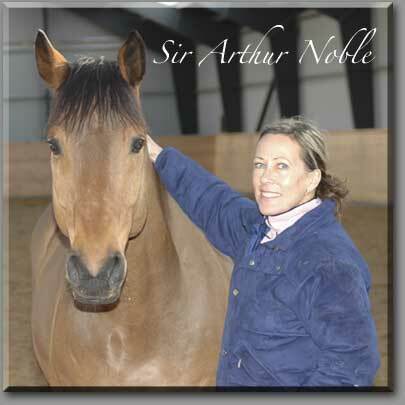 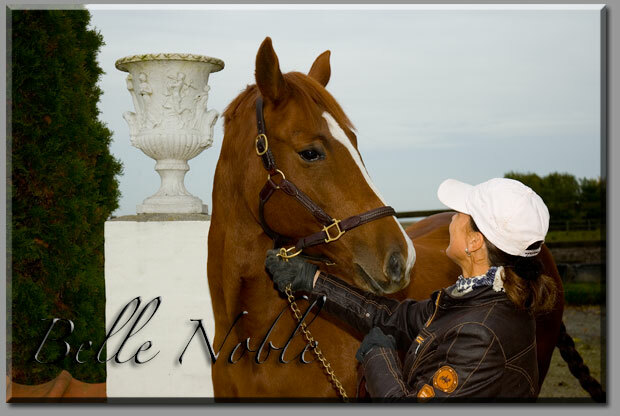 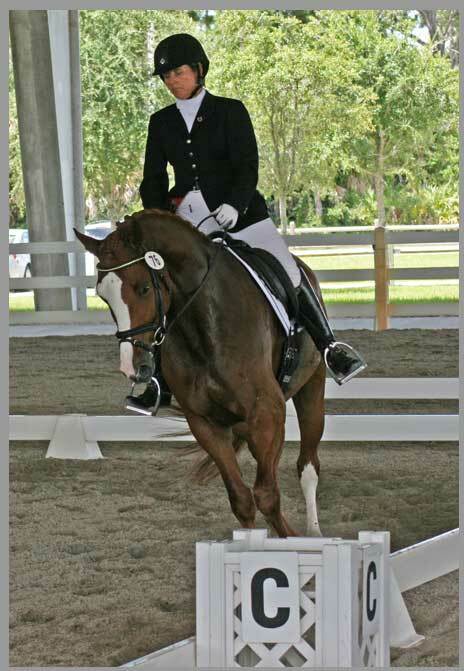 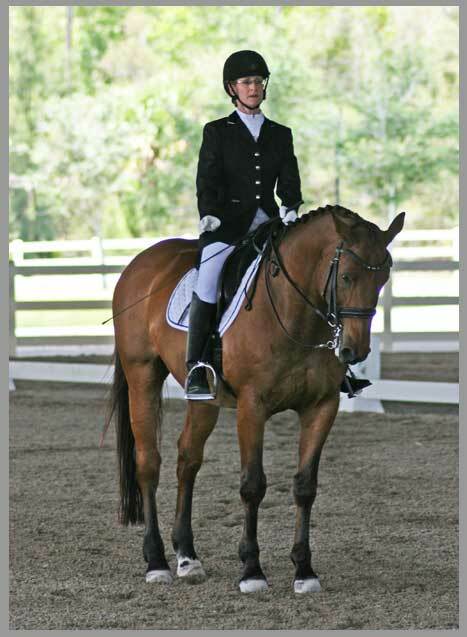 Sir Arthur Noble is showing in Wellington, Florida. 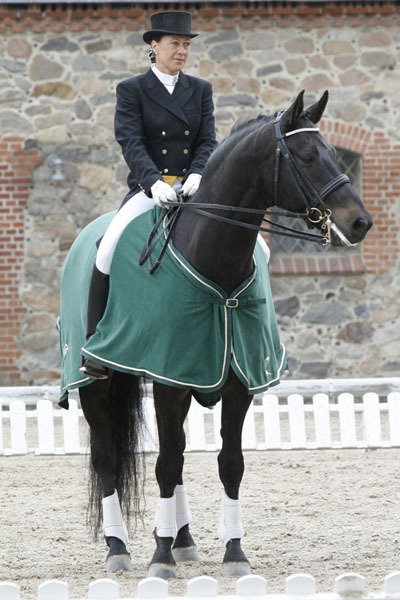 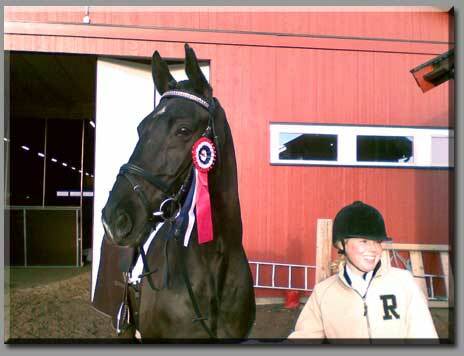 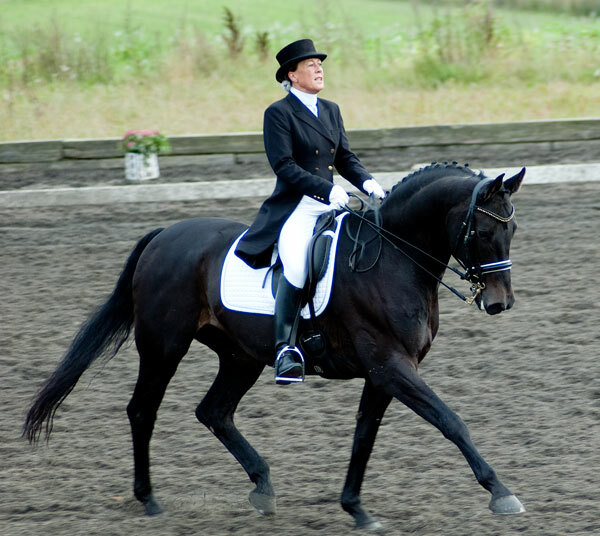 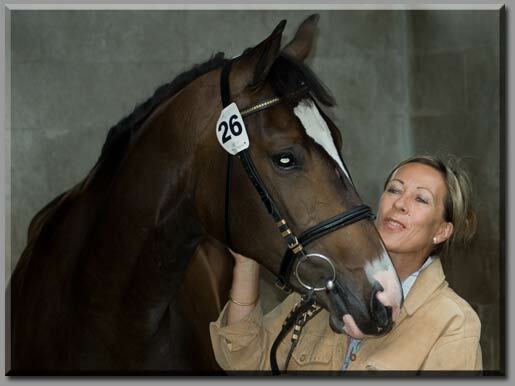 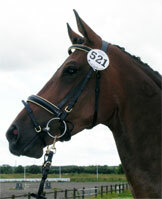 Noble Prince and Louise Lodberg won their very first LA1, November 2008. 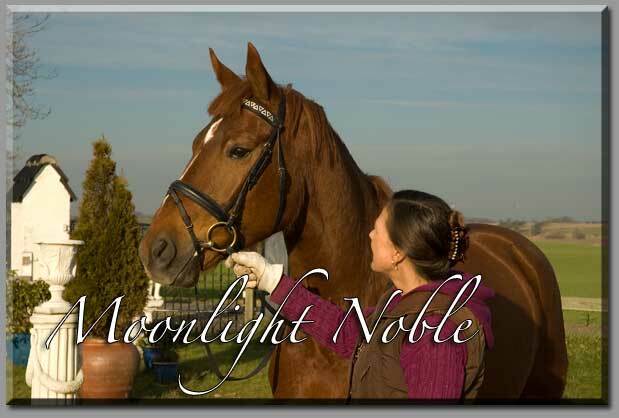 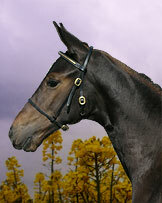 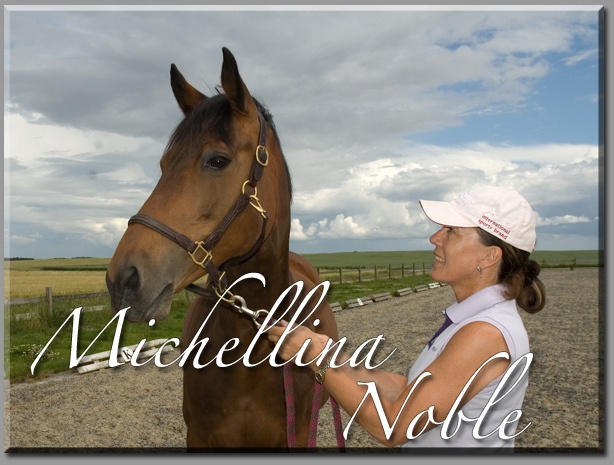 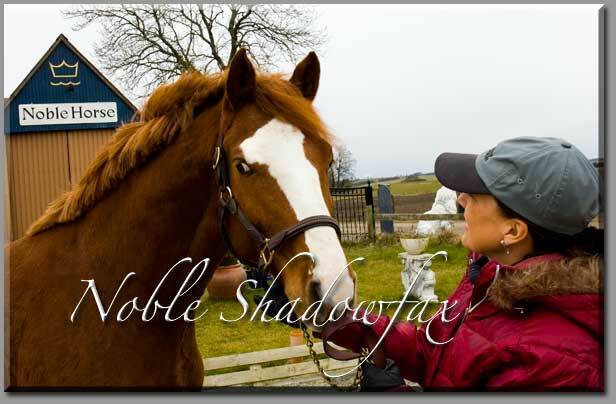 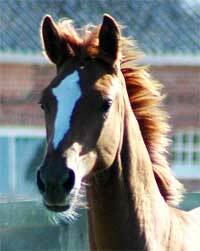 Noble Heart (4 years)was graded as a Head Stud Book Mare in Colorado this summer 2008. 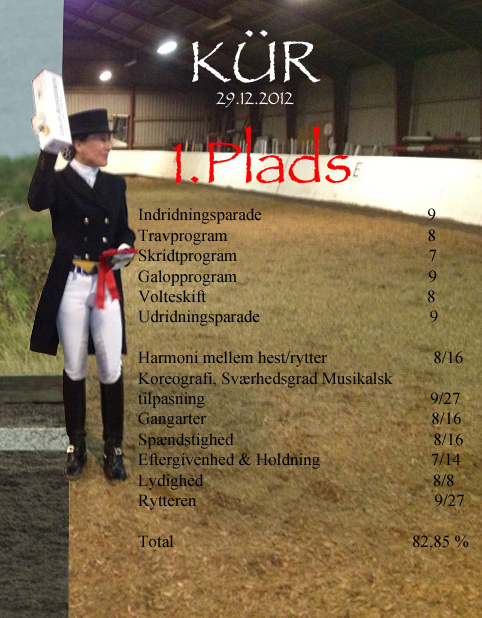 Her marks were all 8. 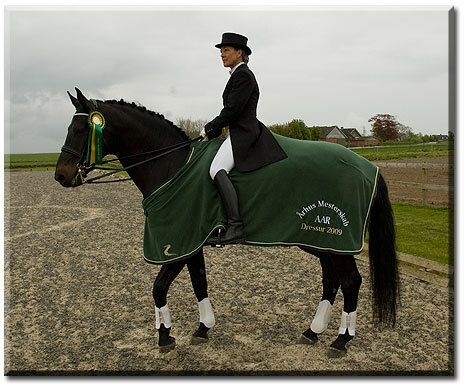 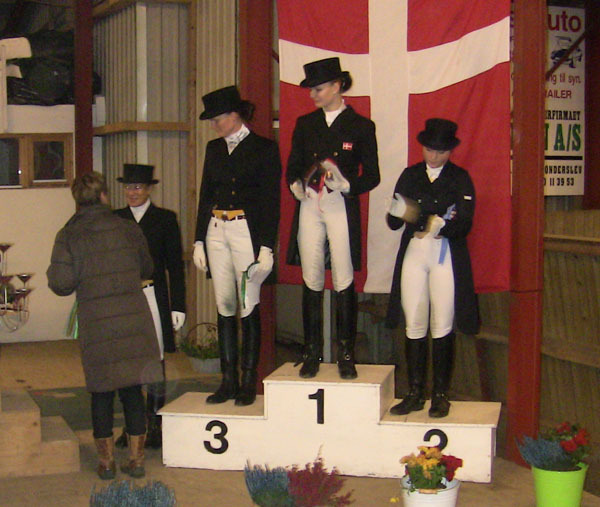 Romano-Bell Noble and Viviann Flethøj recieved a 3rd place in MB1 in August 2008. 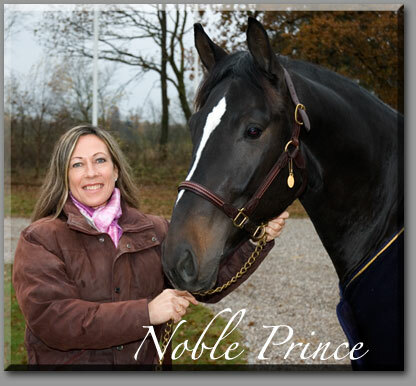 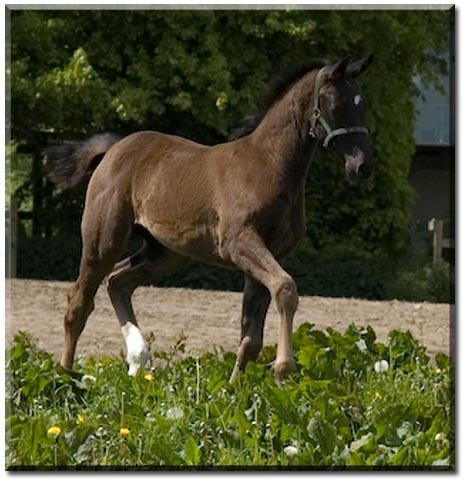 Noble Princess-Bell is after Michellino (Stallion of the Year 2006) and Donna-Bell Damkær, one of our fine breeding mares, who has given us many first prize foals of honnor (find them under Mares and Foals) Noble Princess-Bell´s 3 year older black full brother Noble Prince can be seen below. 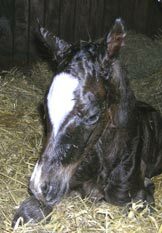 En sluttet muskuløs hoppe, lidt knappe rammer men en særdeles god bevægelse i skridt og trav og en god bevægelse i galop. 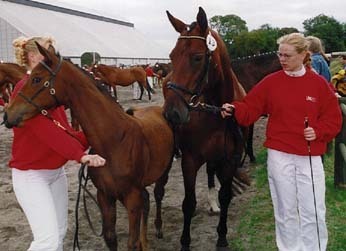 Mozart deltog i 4 års kvalifikationsstævnet til Dansk sports-& avls championat i springning i Pårup Rideklub 30.08.03 og blev udtaget til finalerne på Vilhelmsborg i November 2003. Dommeren udtaler: Et værdigt fløjføl i af særdeles god type. 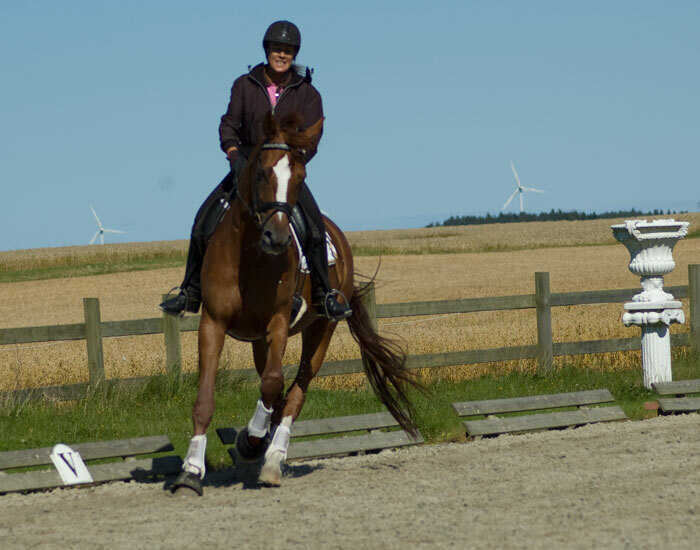 Gangen er præget af smidighed og føllet bevæger sig med ynde. 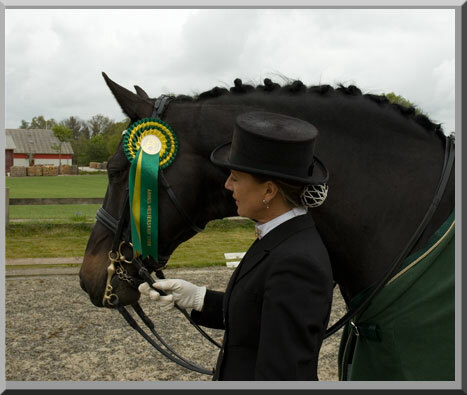 Dommeren udtaler: Et passende stort føl af særdeles god type. 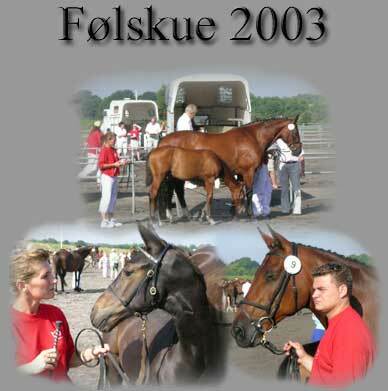 Diamondo Noble deltog i 4 års kvalifikationsstævnet til Dansk sports-& avls championat i Gudenådalens Rideklub lørdag d. 29 juni 2002. 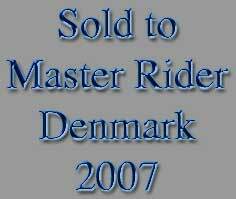 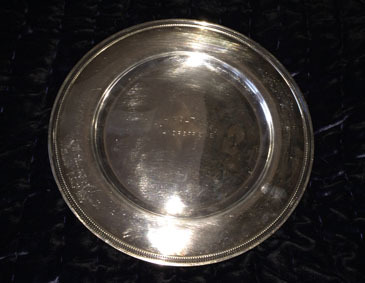 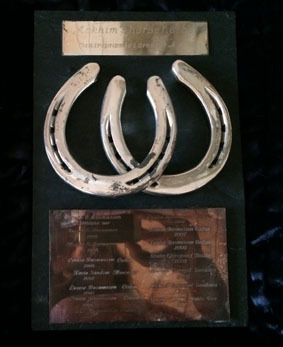 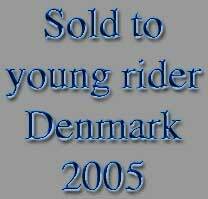 Romano-Bell Noble deltog i 4 års kvalifikationsstævnet til Dansk sports-& avls championat i Frederikshavns Rideklub 7 september 2002. 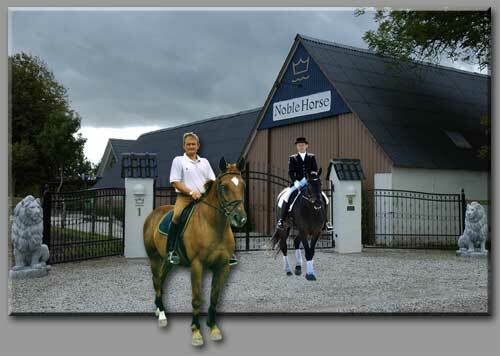 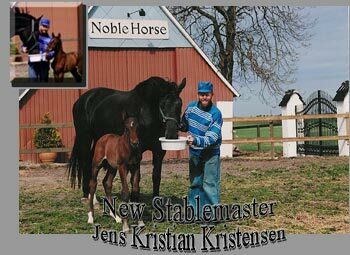 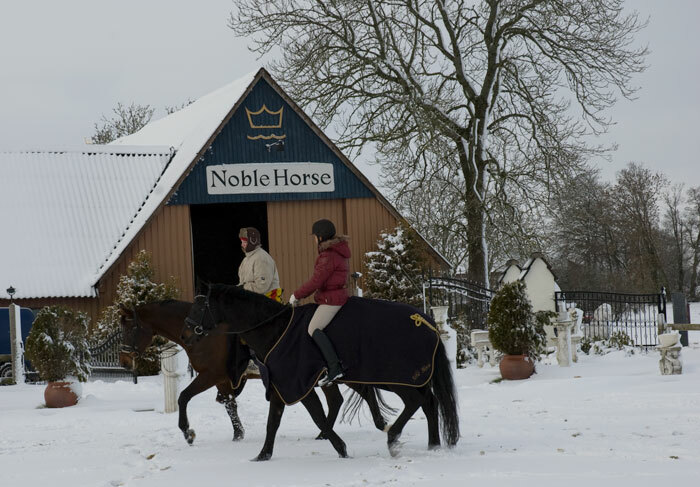 We hereby present Jens Kristian Kristensen as new stablemaster at Noble Horse. 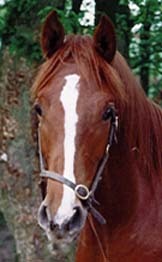 J.K.K. 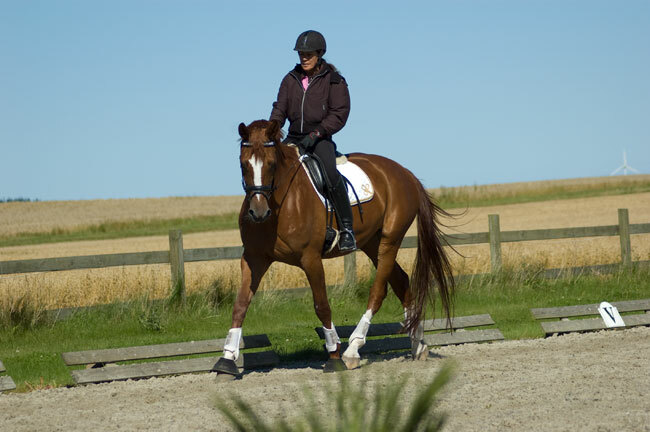 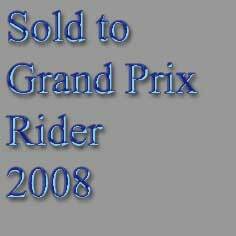 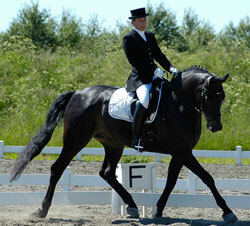 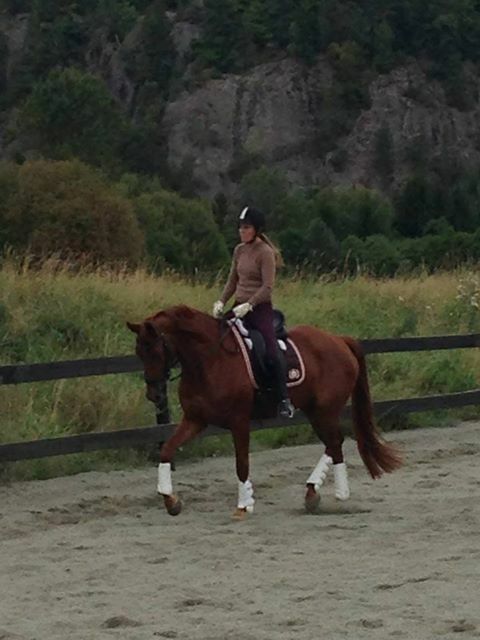 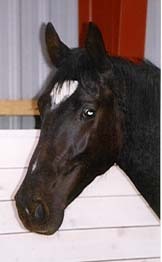 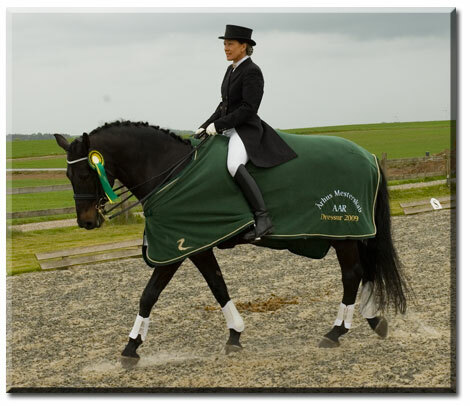 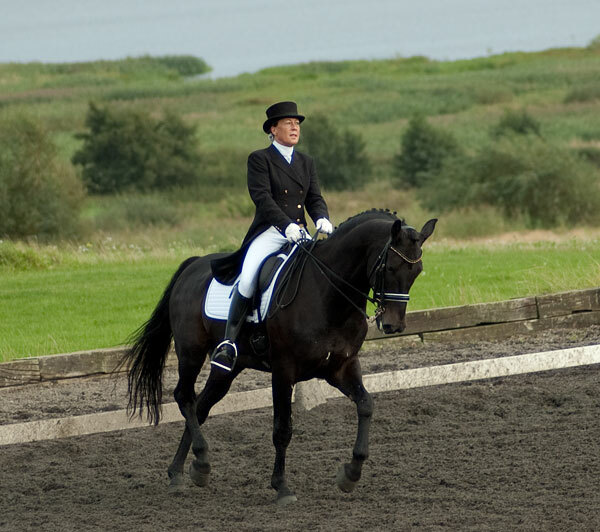 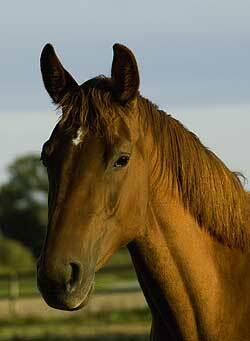 has an agricultural education and has been working and riding on estates and ranches in both Canada and Australia. 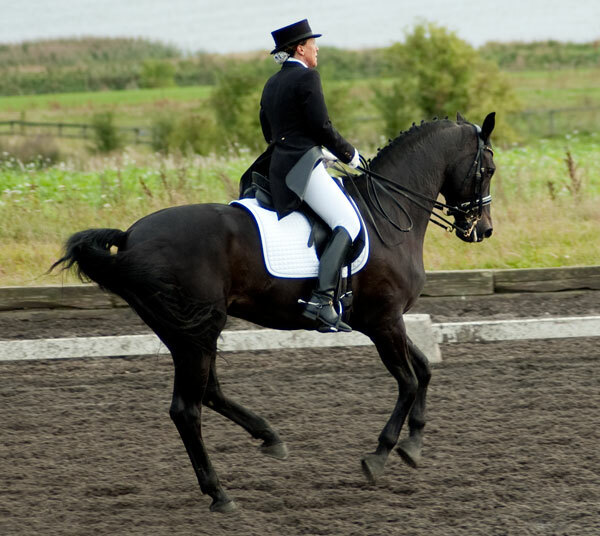 In these countries he also obtained parts of his agricultural education. 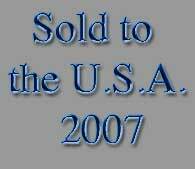 We gladly trust J.K.K. 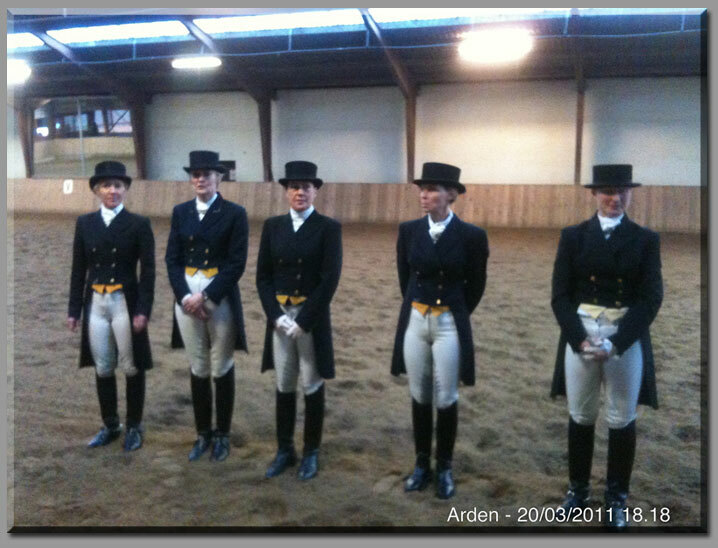 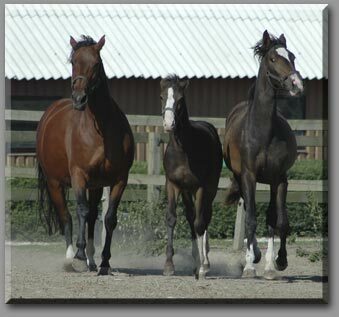 with our horses knowing the extend of his skill, education and deep interest in horses. 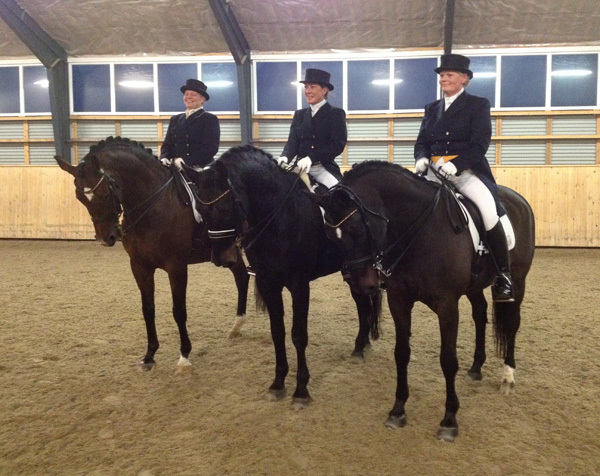 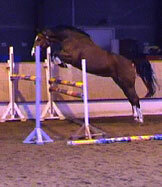 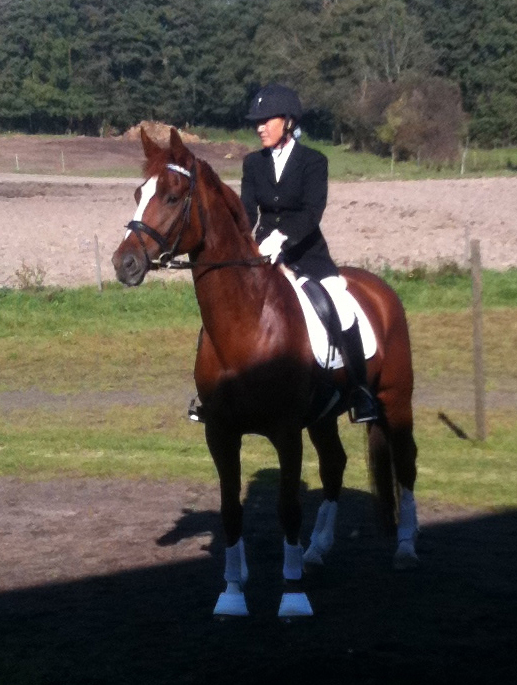 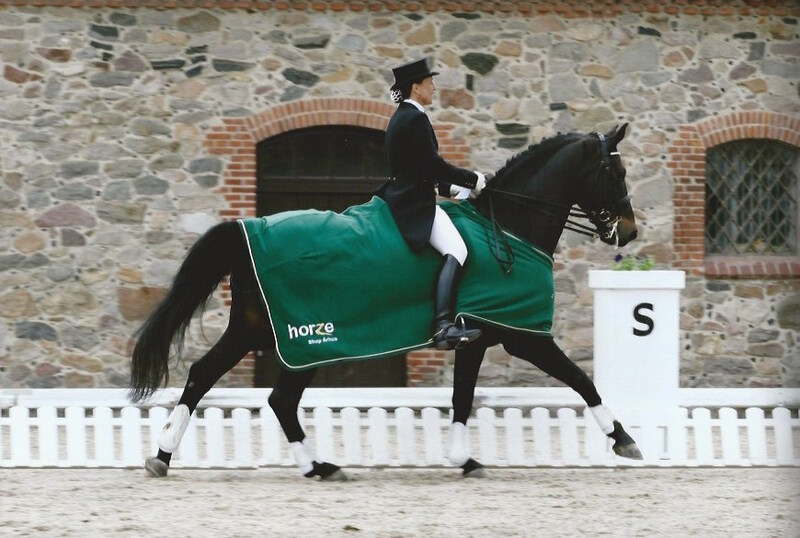 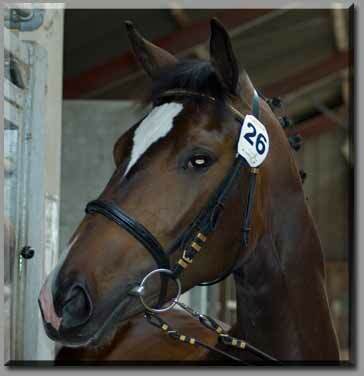 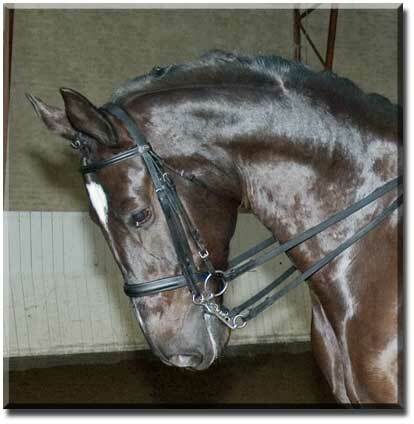 In February we placed Mozart (Royal Z II) in the professional hands of Søren Valentin at Finstrupgaard in Aalborg. 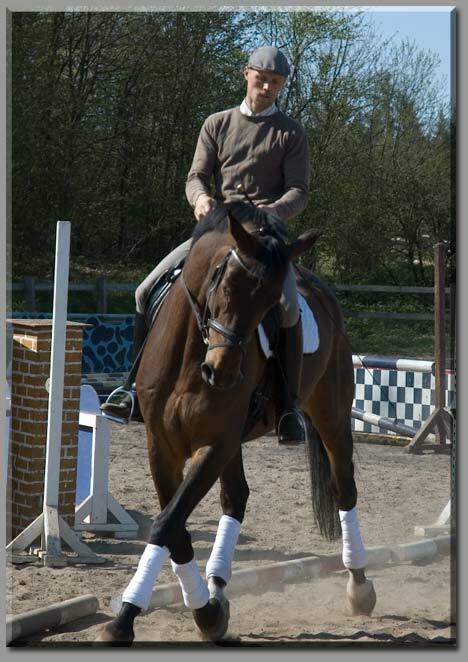 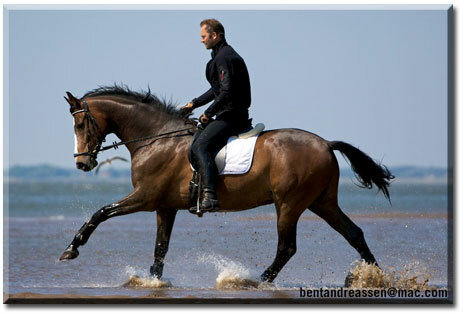 Søren Valentin will give him his first riding experience and Mozart will stay there until the end of march. 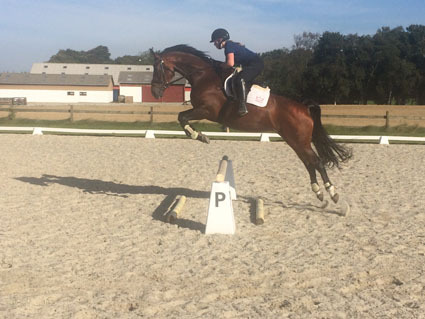 Mozart will not be doing any serious work until he has turned four years because....we take the time to make happy horses that last. 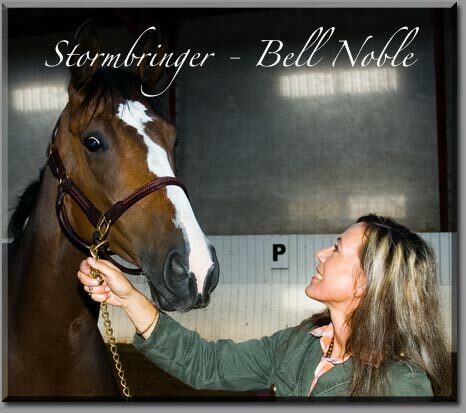 Søren Valentin will also further educate Romano Bell Noble in the year to come. 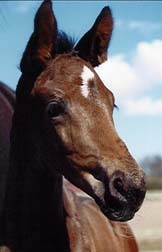 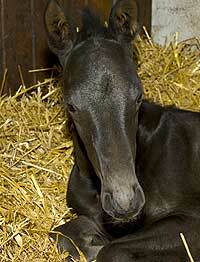 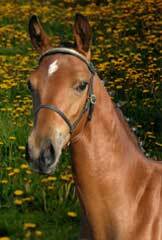 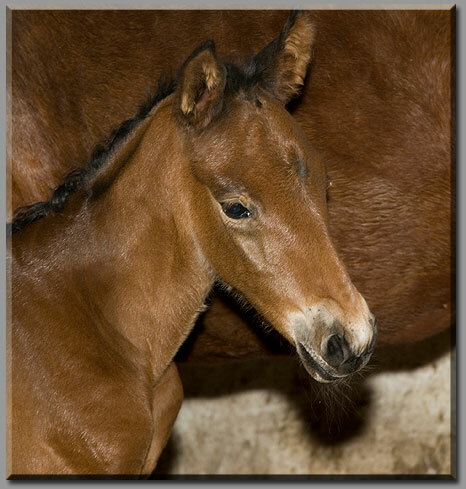 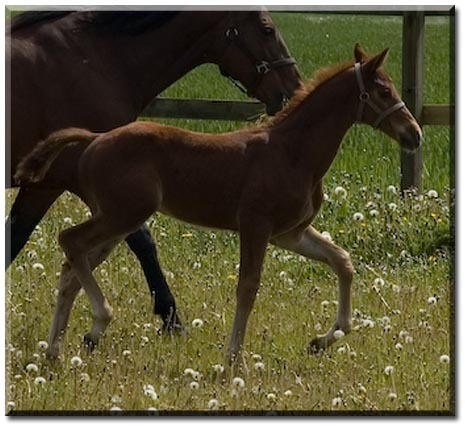 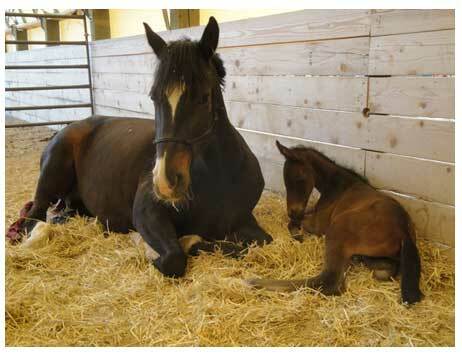 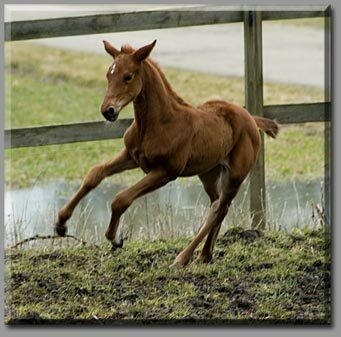 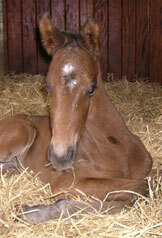 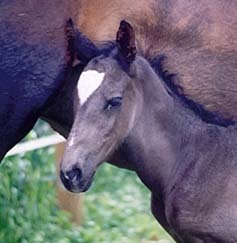 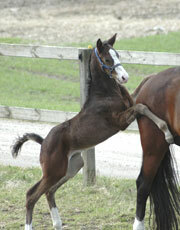 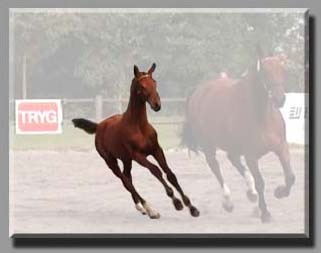 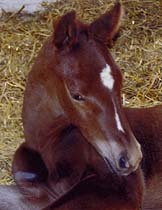 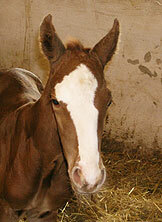 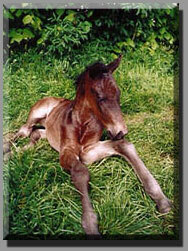 In the year 2002 we will welcome two new foals. 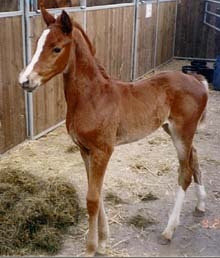 They will be born in April/May and they will have the same pedigree as the ones born in 2001. 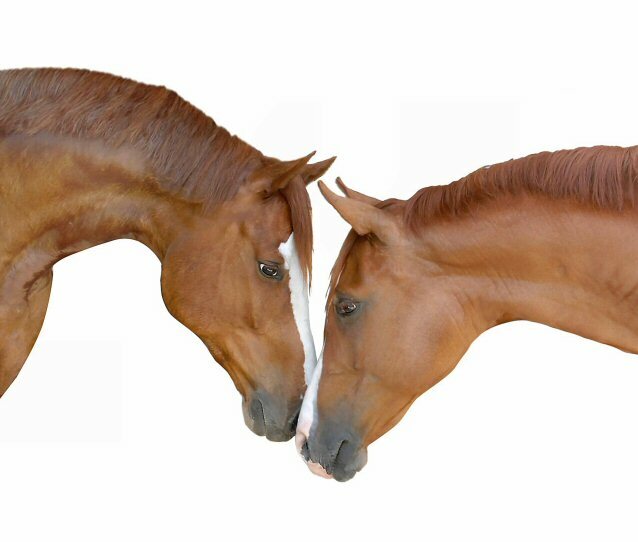 Below you will be able to see what they might look like. 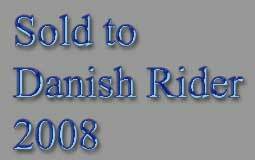 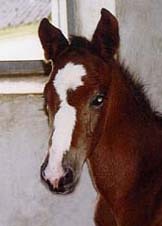 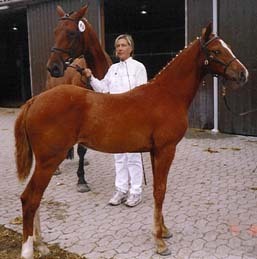 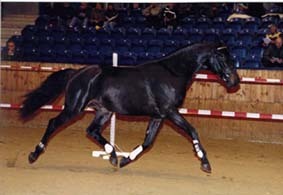 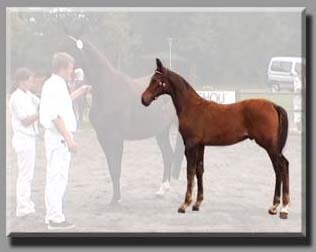 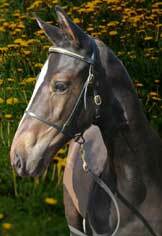 They are both after Michellino and their grand sires are respectively Diamond and Donnavan. 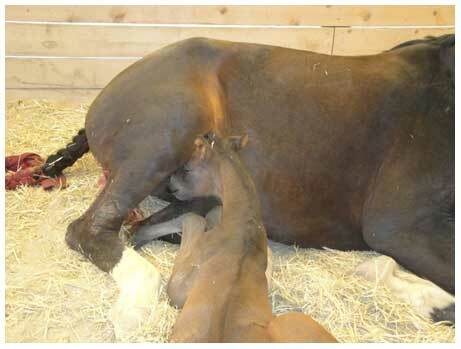 When they are born we will show you photos on this news page. 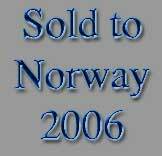 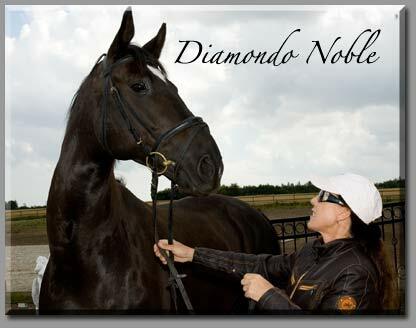 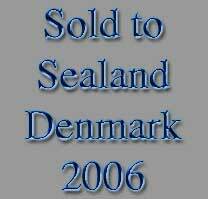 In April and the month to come Diamondo Noble will be further educated and prepared for sale by Søren Knudsen, Stald Grejs, Vejle, DK. 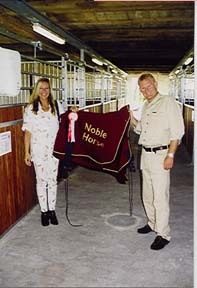 All in all we constructed 9 stalls, all 4m x 3m big and all furnished with at least one double-glazed window to be opened at convenience. 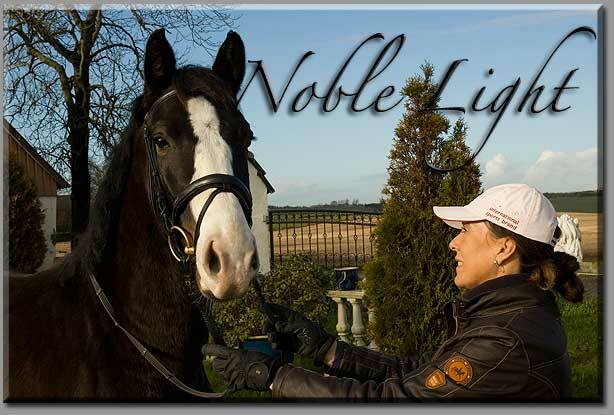 Each stall has it´s own source of light. 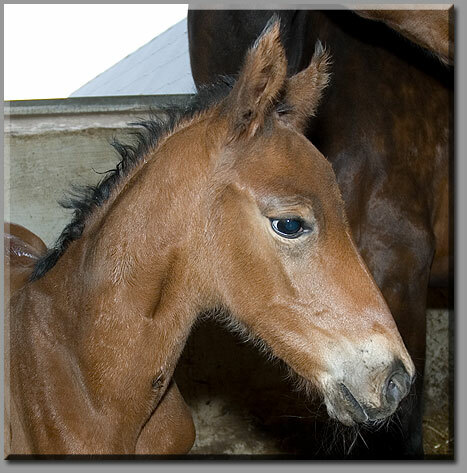 And the light above the foaling stalls are to be individually operated in order for the light to be on at the time of foaling without having to bother the other horses during the night time. 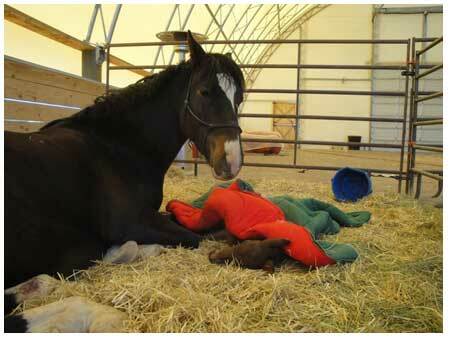 The stable is monitored by a video camera 24 hours a day. 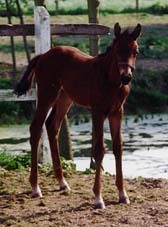 A circulation pump keeps the water current constantly running in order to supply the water cups with fresh water. 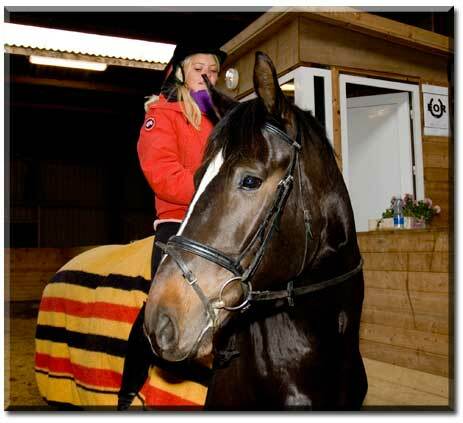 The water supply plant is being operated by a thermoregulator that ensures that the water temperature never goes below 15 degrees Celsius during the winter time.